Did your doctor fail to diagnose your cancer in a timely fashion? We’ll get you the compensation you deserve. The key to successfully battling cancer is early detection. The symptoms of cancer can be similar to the symptoms of other conditions, so proper testing by your doctor is crucial. Biopsies and mammograms are commonly used to detect the presence of cancer, yet some physicians fail to order even these basic tests when necessary. In certain cases, the proper test is ordered, but perhaps the radiologist misreads the films or the pathologist misreads the slide, resulting in significant delay in proper diagnosis. Delay in diagnosing cancer can worsen the treatment or can even be fatal if the condition is discovered too late. Does not ask you about your personal habits and your medical history. This is crucial because it alerts the doctor to any risk factors that you may have developed due to lifestyle, such as if you smoke cigarettes, or if certain forms of cancer run in your family. Does not recognize your symptoms. For example, a lump in the breast or a pap smear is ignored. Fails to order the proper screenings or tests when medical evidence indicates that they should have. The patient may report certain symptoms which would indicate the need for further testing which is not done. Orders the proper tests but misinterprets the test results. Perhaps mammogram, X-ray, PSA or MRI test results are misread or misinterpreted. The patient may not be referred to a specialist when necessary. If you have or a loved one has been the victim of medical negligence because your cancer went undiagnosed or was misdiagnosed by your physician and you would like to consult with an attorney, contact us today. We have achieved successful results for our prior clients in handling failure to diagnose cancer cases. Here are testimonials from some of our prior satisfied clients. Cancer is a progressive illness, and the chance of survival is dependent upon what stage the cancer is in when it is detected. This is why early detection is critical. Physicians and specialists have a plethora of tests and imaging processes which are used not only for initial detection but also to assist them in determining what stage the cancer has reached. Cases involving the failure to diagnose cancer are complicated and require extensive knowledge of medical procedures and protocol. 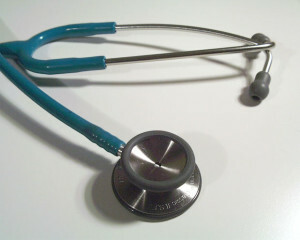 Medical malpractice cases are always complex. You need skilled and knowledgeable attorneys on your side who understand the intricacies involved and who know how to interpret the medical complexities of such a case. If you have or a loved one has been the victim of medical negligence because your cancer went undiagnosed or was misdiagnosed by your physician, please contact the Bennett Law Group to discuss your options. We have the medical resources and the medical experts necessary to evaluate your case and determine if medical malpractice has occurred. Please contact us online or call us at 404.541.9330 to schedule a free consultation. We will sit down with you and discuss the details of your individual situation and inform you of your options. We look forward to your call.